With commercial properties, every design element must be carefully weighed, including safety, security, and legal liability. A door’s handles and locking mechanism, for example, must serve a building’s maximum capacity and the possibility of an emergency or disaster. Thankfully, locksmiths have the perfect solution to address these concerns: panic bars. Sometimes known as a “crash bar,” a panic bar is a wide, horizontal, door-opening mechanism that opens when pushed. Here’s why they’re so beneficial. Thanks to the broad surface area of panic bars, they’re more accessible to those who have limited mobility and cannot grip or turn traditional door knobs. They're also easy for children to operate. Doors can be opened by merely leaning on it; only 15 pounds of pressure is required. Because it’s easier to use, panic bars open doors much faster. While this may not seem like much on a regular business day, in case of fire or another emergency, each second counts. Furthermore, the rapidity of this movement dramatically reduces the likelihood of a stampede forming by the exits. Because of their practicality, panic bars are often a legal prerequisite. 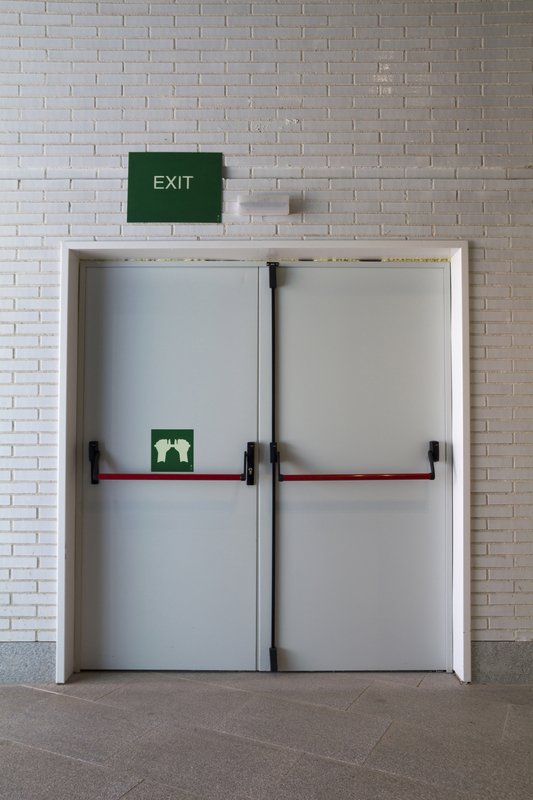 To prevent repeating disasters involving stampedes or fires, the International Building Code requires that they must be installed on “doors serving rooms or spaces with an occupant load of 50 or more.” Not only will failing to comply result in fines, but you’ll also need to pay a locksmith to replace the current mechanisms. Minimize your costs by being prepared from the beginning. If you own commercial property in the New Haven County, CT, area and are interested in having panic bars installed, contact Cohen’s Key Shop. This full-service locksmith has served the community for more than 120 years. They offer the top name brand products so you can trust that your doors have locks and mechanisms that will last. Furthermore, they’ll know how to best comply with the local building codes. To get started, call them today at (203) 397-3528 or use the contact form on their website.